Do you ever see a company online and think they have a great online presence? Maybe you wish your company could have the same presence as they have. Whether it is on social media, on their website, on their remarketing efforts, whatever reason they are shining online means they have tried to do so. That is why the NYC SEO experts are here to explain to you exactly how you too can make your business shine. Keep reading for more information. One of the ways to get your online presence to shine is to increase the number of online reviews you have. Not only will having more online reviews increase your SEO, but it will show future customers that you are a great business to work with. In order to increase your reviews, the first step is to ensure you have accounts online people can review on. The most typical review sites are Google, Facebook, and Yelp. Make sure you have a profile on each of these that has up to date information about your business. People can always find you on these sites so it’s important to ensure your business has these profiles anyways. Once you have these profiles set up, ask businesses to review you online. You can send on an email blast or ask people when they are leaving your business. This will help to remind them to review which will help grow your brand online. Managing your own website and submitting it to Google are good first steps, but they’re no longer enough. Read on to learn how to upgrade your online presence on your own website and on third-party sites, so that people can find you on the Web when they come looking. The next way to be visible online is to have an active social media presence. This means your company should be posting regularly and posting great quality content. This means pictures, past blogs, sales articles, and general information about your specific business niche. It’s okay to share other’s content. This only added to the credibility of your business. Make sure to have a couple different social media platforms set up for your business. Depending on what your target market is will depend on which social media platforms you should choose. For example, if you have a younger audience, you will want to ensure you are on Instagram as the demographics there are younger. Try not to stretch yourself too thin and join them all, being consistent on a couple is much better than inconsistency on them all. You can also utilize a scheduling service such as Hootsuite or Buffer to help you stay organized. Schedule all the posts at the beginning of the month so you can stay organized and so you know there will be content going out on each channel. The next goal is to look at your website. What does it look like? Is it current and up to date? Have you shared articles recently and shared anything new going on in the news? Does your website have up to date facts that help your customers understand your niche even more? Your website should not only be eye-catching and have great content written, but it should be a place that educates readers to understand more why they want to invest in your products. Blogs are a great way to get visible online. Not only will they increase your SEO, but they will allow you to share information on your website which will bring in new views. It’s important to upload new blogs to your website on a regular basis. It’s also important for the blogs to be well written. Make sure that you add at least one image to your blog as well as filling out the tags, the meta tag, and the description of the photo. This will let Google know what your blog is about and therefore bringing people to read your blog. Many people stumble upon a website because they were reading the blog. This is one of the reasons why you want it to be well written and grammar free. Try and have another employee look over and read the blog before you press the publish button and put it online. Although you want people to know they can always call you for more information about the subject since you are experts in the area, it’s also important to share a lot of detail and educate your audience. This will help them to trust you and help you to start out apart from your competition. The final recommendation we must increase your online presence and make yourself shine is to increase your SEO. Increasing this will mean more people will click on your website and end up converting into customers. Again, remember this is a slow and steady process. Some of the things you can do to help increase your SEO is to blog regularly, share a link to other great websites, include keywords in your content, and much more. Your SEO ranking is critical for your overall business success and that is why it’s so important to always be keeping it in mind when thinking about your overall online presence. 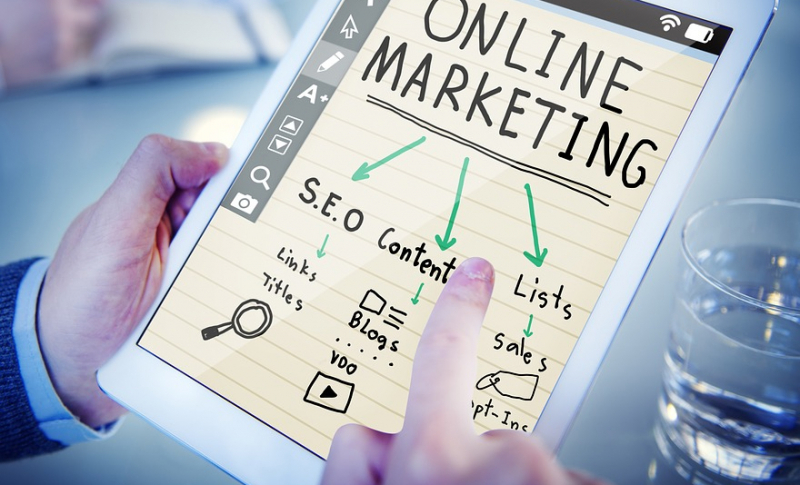 As you can see, there are so many ways a business can become more visible online. It’s important to remember it doesn’t happen overnight. A company typically is making many changes consistently for many months before they start seeing a change. However, once they do, they will find themselves getting more leads and more business because of it. For more information on becoming more visible online and having your business shine on the web, contact us today.